Su Mejor Vida Ahora - Audiobook (abridged) | Listen Instantly! Sueña a menudo con tener una vida más gratificante? Aspira a tener un mejor trabajo, un matrimonio solido, o un hogar feliz? Desea tener mejores relaciones con su familia y amigos? Quizás usted simplemente quiere alcanzar más y dejar un legado duradero para las futuras generaciones. Si usted es como algunas personas, posiblemente ha escrito estas metas y sueños en una lista llamada “Cosas para hacer mañana.” No puede perseguir lo más importante en su vida, porque su día está atestado por las demandas de lo rutinario y las prioridades de otras personas. En lenguaje claro, Joel Osteen presenta siete pasos simples e inspiradores que lo ayudarán a mejorar su vida y experimentar la victoria, el gozo, y la satisfacción todos los dias. “Gustavo Rex, tiene su origen en Latinoamérica, y habla de una manera confortable y serena, que hace que cada palabra sea fácil de entender.
" One of the best inspirational books I have ever read. Joel Osteen speaks to all people. His words are kind and true. If only people would take the time to listen. " " this book is really awesome i love this book i would encourage anyone to read this book "
" Great Man! Great words to live buy! " " good positive message book "
" its great. Joel osten is my mentor "
" A marvelous Book for those who need to be uplifted. I enjoyed this book. " " Similar to the Secret or the Power of Positive Thinking but based upon Christian beliefs. Themes repeat often which is why I give it a 3 rather than a 4. You should read the Secret if you haven't already! " " I think Joel Osteen is an incredibly gifted motivational speaker who intersperses some pieces of gospel into his discussions, as opposed to an incredibly gifted pastor who is able to motivate his congregation. I like him because he's a "laid back" person, and I think he's a great introduction into religion -- especially for people who may have been lacking it in their lives, or people who are new to the ways of the Bible. But I'd proffer to say that any good solid Christian who lives and dies by their Bible isn't going to be a big fan of his. I'd almost say I'm weary of people who stand to profit from God, but that's why I think his line of books and whatnot have to do with creating a better you and a better life for yourself -- he doesn't want to come across as some televangelist. " " I've always liked the way he preaches... so the book was just like listening to him. " " Very inspirational. Read a chapter daily and you'll feel ready to face the day with a positive attitude! " " Pretty good, just a little over the top for me. " " Good book, very positive. Good information if you can apply it to your life, which as we all know, is the most difficult thing to in Christianity. " " Inspirational. Thought Provoking. Life Altering. " " I listened to the audiobook--really enjoyed it. He is more inspirational than religious and preachy...which is what I heard churchgoers don't approve of. " " I love Joel....what a positive, loving man!! " " I was really encouraged by this book. Prior to reading it, I had been pretty judgmental about Joel, and the whole so called "prosperity gospel" theology. As is usually the case I really needed to see for myself, and honestly this book has really blessed me in unexpected ways. " " Listened to this in my car on cd. (I own it if you want it) "
" just started reading this book after so many friends had been so blessed reading this. the first chapter has encouraged me many ways.. "
" Am usually turned off by 'preachers' but I really enjoyed listening to this book. It was a perfect way to start my day when driving to work. I'm not into the holy roller stuff but I just liked his common sense advice and his delivery. " " A mom book. " " Joel Osteen always makes me feel so positive and helps me to look at everyday life in a more positive way. " " Joel Osteen is a wonderful author, Christian and evangelist. I found this book inspiring and want to buy the audio version so I can listen to it on the way to work form time-to-time to get me motivated. His voice is reassuring and powerful! " " Very nice book. I always enjoy watching his show. " " Blah blah blah more of the same from Osteen. A friend dragged me to one of his services in Houston years ago and it was very disquieting -- had a modern Jim Baker (sans tears) feeling. I think he's laughing all the way to the bank. I don't trust this individual in the slightest. " " Pretty repetitive and could have covered the topic much more concisely, but I guess his message is the kind you probably need to hear over & over again. The sort of book you want to open & flip thru now & then after you've read it - to remind yourself. " " As other people have stated, a bit repetitious, but uplifting all the same. 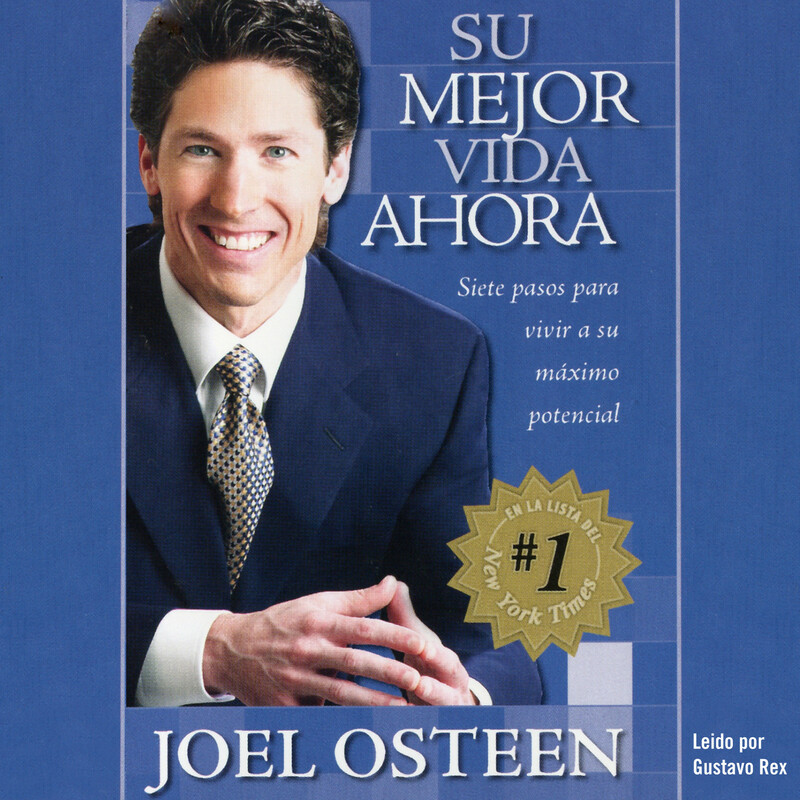 I have always liked Joel Osteen, so I would like any book he writes. This is the type of book I like to read at the end of the day before going to sleep. Puts one in the right mind-set. " " This is an awesome book for anyone to read :) "
" I think this is an interesting book, It gives me a hope to join a college and to living with others in my every day life. It change my attitude towards others living beside me and I have feelings of helping others in their weakness.This is a good book.......thank to you. " " This book is written in the same way that Joel Osteen delivers his sermons. I like Pastor Osteen positive messages and sunny outlook on life. If you need a good pep talk, this is the book for you. " " I love reading these kinds of books. He really gives some great advice on applying the Bible to everyday living. " " Perfect. Clean and simple.. It's doesn't matter your religious beliefs, he keeps it simple.
" My mom owns this book. Thus, I'd like to inform you on her behalf that Osteen is a con artist. Your time is valuable: spend it engaging in some good old fashion sin instead of reading this crap. " " bleh. love joel osteen as a brother but he's spouting some atrocious nonsense "
" Amazing writer and preacher. Joel flows in the word of God.... "
" Grew a bit repetitive at the end, but still a good read. Very uplifting and inspirational. There was a time, about the middle of the book when I thought, "This is the best book about life I have read." But then it got repetitive. If not for that, it would be the best. " " Very inspirational at the time!! Two thumbs up "
" This inspirational read is divided up by date and may be read each morning to inspire you to have a thoughtful day. The writing is succinct and hits close to home. I can lay in bed, grab my nook, and read each section in a matter of minutes. The current December theme appears to be honesty. " " Joel is a very kind person w/ encouraging words. " " This book really encourages! It definitely is a perfect book for having "Your Best Life Now." Full of God's grace, favor, and blessings, you'll never look at situations negatively. That's what God wants for each one of us! " " Life with positive faith moves insurmountable obstacles. His books do tend to blend. " Joel Osteen is the pastor of Lakewood Church, the largest church in America. He is the author of numerous #1 New York Times bestsellers, including Your Best Life Now, It’s Your Time, and Every Day A Friday. Under his leadership, Lakewood Church has grown in every area of ministry, more than quadrupling in size. In the summer of 2005, the church moved into Houston’s seventeen thousand-seat Compaq Arena and became the new Lakewood International Center. He lives in Houston with his wife, Victoria, and their two children.